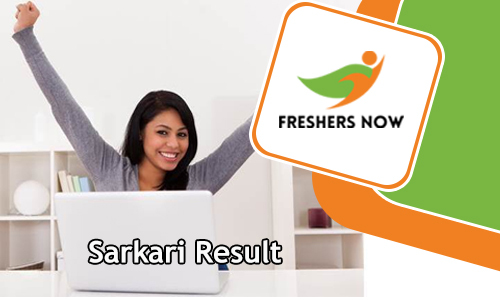 Sarkari Result 2019 is available on this page. We have created this page to provide all the latest information about the latest and Upcoming India Results 2019. The candidates who had completed their Recruitment exam or Competitive Exam can check this page to know their result 2019. Contenders can check their result easily within few seconds through this page when the officials release. On our webpage, we are providing all the State Government/ Central Government/ PSC/ Entrance Exam Results. For the sake of the candidates, we are providing the entire information about Sarkari Result 2019 at one place. From the result, the contenders can check out their individual score. So our advice to the aspirants is to visit this page to get the latest updates about the Sarkari Exam Result 2019. After giving the exam most of the aspirants are seeking for the Sarkari Result 2019 on various website. To save the hassle time of applicants by searching we are providing complete information about the result on this page. The Indian Result is the main thing to declare that the candidate is eligible for the next level of the selection process or not. In India, there are many government organizations. And in a year these organizations will conduct the exams for the candidate who are seeking for the job by releasing the notification. In present days a large number of candidates are showing interest towards the government jobs. By applying for the various positions candidates are attending for the competitive exams conducting by the various government organizations. To check the Exam Result the candidates have to log on to the official website of the particular organization. To help the candidates we are providing the direct links to check the Sarkari Result 2019. By using the links the candidates easily get their result. On our web portal, the candidates can find out the CCC, VBSPU, Railway, Banking, Board Results, and Competitive Exams conducting by both government and private organizations result. The candidates have to wait for some days for the result after giving the exam. Every organization will take at least one to two months to declare the Sarkari Exam Result 2019. So be patient and wait until the result will be declared. Candidates who are eager to check the सरकारी रिज़ल्ट 2019 can get the scorecard from this page. The contenders have to give the necessary details like Registration Number and Date of Birth to check their result. The All India Result 2019 is very important for the candidates. Because the aspirants those who qualify the written test will be called for the next level of the selection process. On the official website when the result declared the candidate’s names will also display with the roll numbers. Along with the result, the individuals can find the Cut Off Marks and Merit List from our website. Every exam conducting board officials will release the Answer Key 2019 for the exam. With the help of the answer key, the candidates can check the answers which they have given in the Sarkari Exam. By verifying the answers the aspirants can easily know how many questions are correct and how many are wrong. This analysis will easily help to know whether will secure the cut off score announced by the organization. If there are any doubts in the answer key the applicants have the chance to arise the question against the board. To check their Sarkari Result 2019 the aspirants have to go to the official website. Check the India Results 2019 link and give the complete details. Submit the details by checking once. The candidate’s result will be displayed on the screen. We hope the information about the Sarkari Result 2019 will be helpful for the candidates who had given the government examination recently. Stay in connect with our website www.freshersnow.com for the instant updates.